Walter Thiel (* March 3, 1910 in Breslau; † August 18, 1943 in Karlshagen near Peenemünde) was a German Chemist and Rocket Scientist. Thiel delivered the major ideas for the A4 Rocket mechanism and made it with his research possible to fly a rocket into space. The A4 showed the basics for the later development of space rockets in the USA and also the Soviet Union. Regrettably the A4 was also used in the war as a weapon of terror and used in propoganda purposes under the model V2. 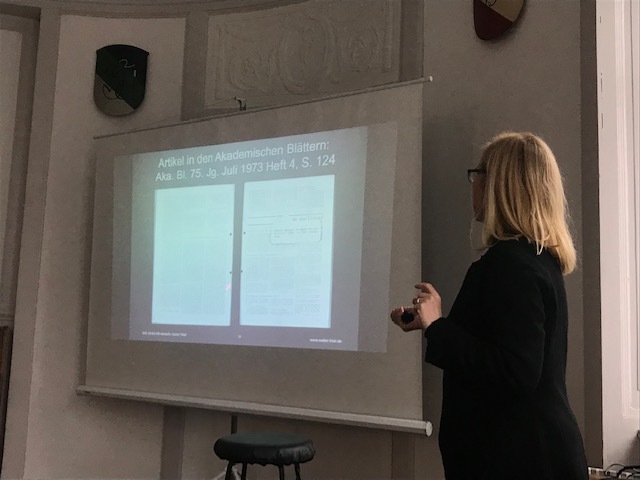 Lecture about Walter Thiel at VDSt. Aachen Breslau II. Thank you very much for the invitation! Walter Thiel was a member of the student association VDSt. Breslau II. After the war the memberships were continued by the VDSt. Aachen. In "Infoblatt 3-2018 des Fördervereins Peenemünde e.V." an articel about Thiel was published. 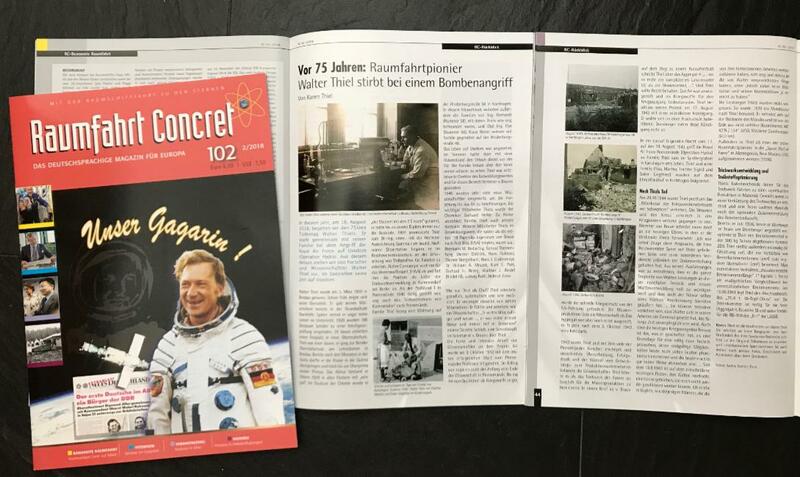 In addition, the talk of the memorial service on 18 August 2018 at the Karlshagener Ehrenfriedhof, held by Thomas Köhler, was printed in that same booklet. 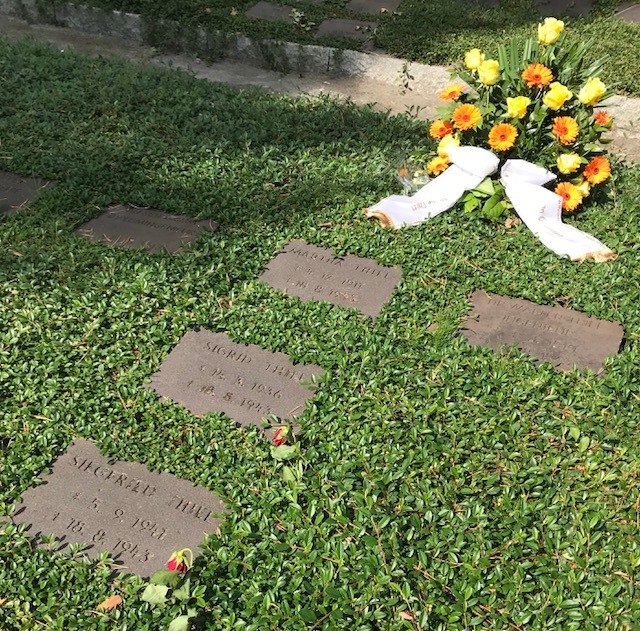 On August 18, 2018 was the 75th anniversary of the death of family Thiel. 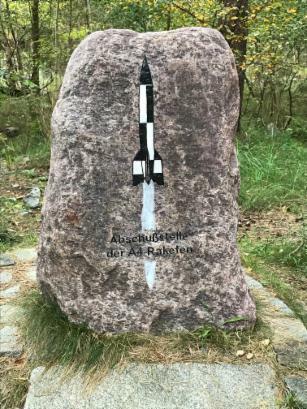 On October 3, 2012 was the 75th jubilee of the first successful start of an A4 rocket from test stand VII in Peenemünde. The film is only available for a short while in the media library. If you are interested in further information please contact rbb (Radio Berlin Brandenburg). In March 2014 a visit from Kummersdorf-Gut together with Hans Schumacher, the grandson of Heinz-Otto Glimm. Glimm was a colleague of Thiels in the research of HWA of Head of Division Prof. Dr. Karl Erich Schumann (experimental ort was Kummerdorf-Ost). Glimm was also the Godfather of Sigrid(daughter). The tour through Kummersdorf was accompanied by journalists. 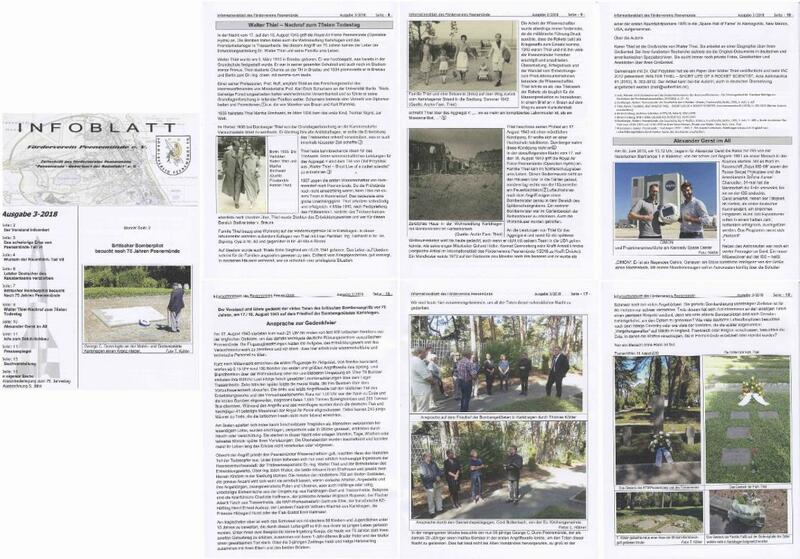 In April 2014 an article about the visit was printed.